About | Successful Strategies International, Inc. 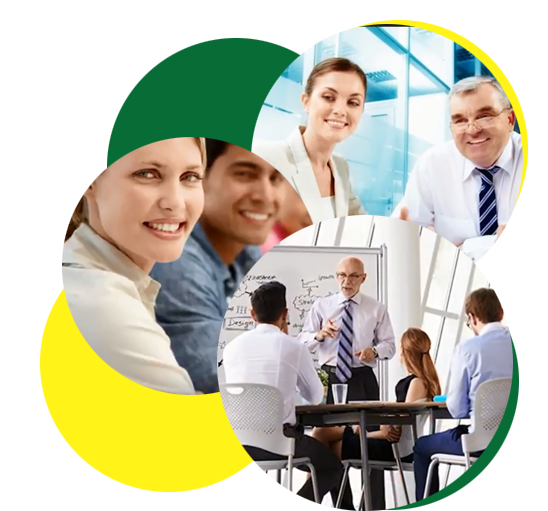 Successful Strategies International, Inc. (SSI) is a worldwide leadership training provider that specializes in project and program management training. With over 14 years of experience in the industry, SSI has developed a track record for delivering quality, cost-effective training to organizations from around the globe. In line with our belief that individuals learn and solve problems in different ways, SSI offers a counter to generic training programs that provide the same skill set training to their learners. SSI, on the other hand, offers a diverse, customizable curriculum based on the concept of "Andragogy" or "Adult-Learning" that takes into account individual competencies and gives our clients the power to choose which skills are most applicable and necessary for their business environment. SSI provides the best value for your money to prepare for PMP® Certification with our "PASS PMP® IN 4 DAYS or YOUR MONEY BACK" guarantee. Don't just take our word for it! COMPARE other PMP® Exam Prep Courses with SSI courses and then call us back! We are so confident you will call us back that we even provide you with a list of other PMP® Exam Prep Course providers for your convenience! > 4 day class. Home Practice. Test on 5th day. 1.Full Money-Back Pass Guarantee: SSI provides a true 100% money-back pass guarantee, with no fine print. Other companies often just allow you to re-take the course. If they aren't willing to back it up with a full money-back guarantee, you should question the quality of their course offering. Quite simply, we believe our course is the best and we stand behind it 100%. 2.Free Post-Class Tutoring and Support: Most training companies don't provide any post-class support, or worse, they say they do and then let you down. We stand by our customers and support them throughout the entire PMP certification process. 3.Training Materials Available Upon Registration: Our live classroom training is second to none, but we also believe you should never leave class empty-handed. That's why we provide students with a comprehensive online training Tips and on-line practice and mock exams. We provide online training aids and the latest PMBOK as soon as you register, so that you can get started immediately. > You must attend the entire project management certification course and complete the final full-length practice exam in the session. > Provide us with a receipt from your registration for the retest and we will reimburse you the fee. > If you do not pass the PMP® exam in three attempts, we will refund your entire course tuition, provided that all attempts occurred within 12 months of completing the course.